The stunning townhouses in Windsor required the installation of wetrooms onto screeded floors. 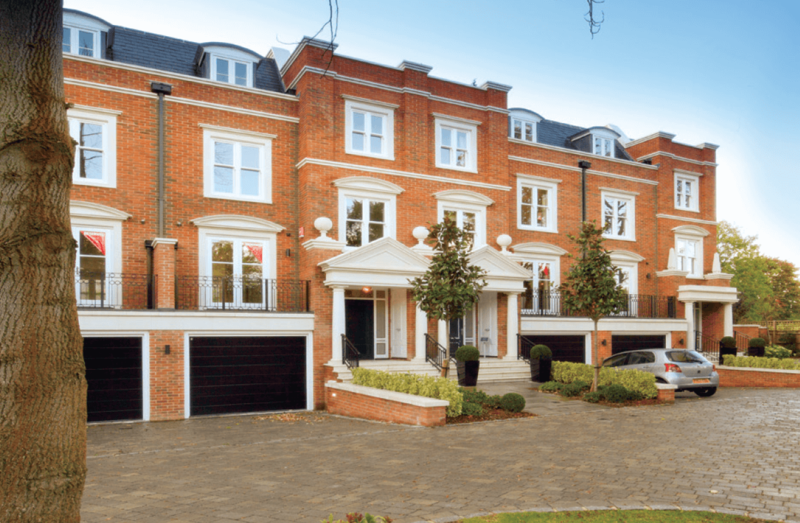 Long Walk Villas is an elegant terrace of classical townhouses in an enviable position overlooking Windsor’s Long Walk and Great Park. The traditional villa style properties are built to a high specification with 4/5 bedrooms, numerous reception and entertaining areas with private gardens and roof terraces – as well as secure private garaging. Set behind electric gates, Long Walk Villas is close to Windsor High Street with spectacular views to Windsor Castle. Long Walk Villas won “Best Development of the Year” (2-10 units) at The Brick Awards 2014. Wetrooms UK were approached by Octagon Developments to supply wetroom systems and install waterproofing solutions into the Master Bedroom and Guest En-suites in this beautiful development of townhouses in Windsor. The systems needed to be suitable for use on screeded floors. Wetrooms UK recommended the installation of Linear Wall Drains into the bathrooms which were all laid to falls. The Linear Wall Drain has a shallow depth of only 67mm, making it ideal for installation in the floor build-up of these townhouses. The waterless, spring loaded trap ensures the drain cannot dry out in periods of low use. Stone In-fill Grills of varying sizes, ranging from 600mm up to 1 metre in length were installed into the bathrooms, giving the wetrooms a stunning finishing touch and the illusion of a continuous stone floor. Tilesafe waterproof membrane was then applied to the floor and wall junctions across the entire shower area of each bathroom, finishing a metre outside the shower area. Flexible Wall Membrane (FWM) was applied full height to the shower walls, finishing 300mm outside the shower area, linking to the floor membrane, to prevent any water penetration. 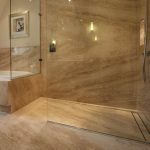 We have worked with Wetrooms UK on many of our luxury housing developments and their wetroom drains and waterproofing solutions are top quality. They provide 10 year installation guarantees that their wetroom products will not leak – providing Octagon and our clients with added peace of mind of a watertight finish.